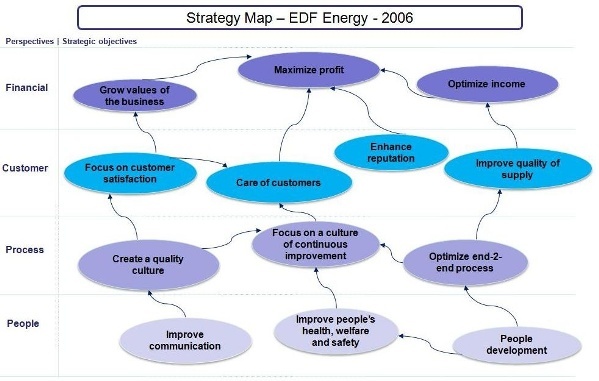 We can help you to prepare your strategy map more effectively and efficiently. Save time and money by utilising our experience and expertise. We bring objectivity, structure and insight to the process. We take an action learning approach – explaining the principles of strategy and strategy maps – then applying them. This is customised training with a tangible outcome for senior staff. The strategy map (Kaplan and Norton) evolved from the four-perspective model of the balanced scorecard, adding a visual dimension which improves clarity and focus. What made it a worthwhile experience for me was Mike's lively and participative approach through workshops and case studies, which changed the way I look at how organisations function and what strategies are required to be successful. I would recommend Mike's company Nova Connection for all organisation and management development.